1. 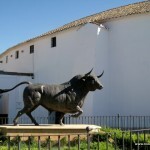 The Bullring (Plaza de Toros), considered to be the most historically important bullring in Spain, and home to the Ronda style with a matador on foot instead of horseback. The building can only seat 5000 people but has the largest central sand surface, known as the rueda, in the world. The structure is entirely built from locally quarried stone, then plastered and whitewashed. Read more. 2. 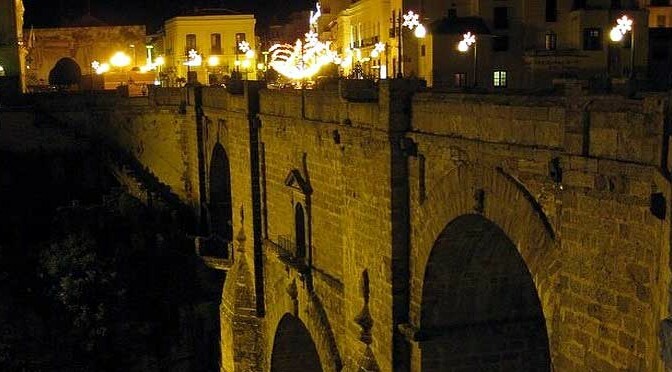 The New Bridge (Puente Nuevo), the largest of Ronda’s several bridges that cross the impressive Tajo gorge that separates the city in two. 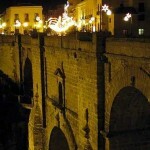 The bridge is 98 meters tall with a tall central arch, and a room under the road that has been a hotel, a bar, a prison, and is now a small museum. Read more. 3. The Arab Baths are considered the most complete in Spain even though they are ruins, and offer a tantalizing glimpse into medievel Islamic times. Visitors are able to see the pump tower on which a donkey turned a crank that fed cold water to the baths. The water was heated and distributed in three rooms, a hot room for sweating out impurities, a warm room for massages and soaking, and a cold room to cool down. Read more. 4. The Mondragon Palace is a 13th century palace that archeologists believe was the home of Ronda’s Islamic King Abomelik when Ronda was the capital city of a large kingdom in Al-Andalus. The palace is home to the city museum with displays from the paleolithic, neolithic, Roman, Moorish, and Christian eras. Read more. 5. The medieval walls, with numerous gates and Islamic arches, high defensive towers and long stretches of impregnable stone wall that surround the old city and would take at least an hour to walk around. 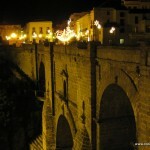 The most impressive sections are located at Almocabar in the Barrio San Francisco, Calle Goleta, and near the ruined flour mills in the Tajo gorge. Read more. 6. The Water Mine, a dark and scary escent to the Islamic era fortress carved into the gorge below the Casa del Rey Moro. Known as the Water Mine because for hundreds of years it operated as the only source of water into the city, with slaves chained to the steps to pass water bags upwards. Read more. 7. 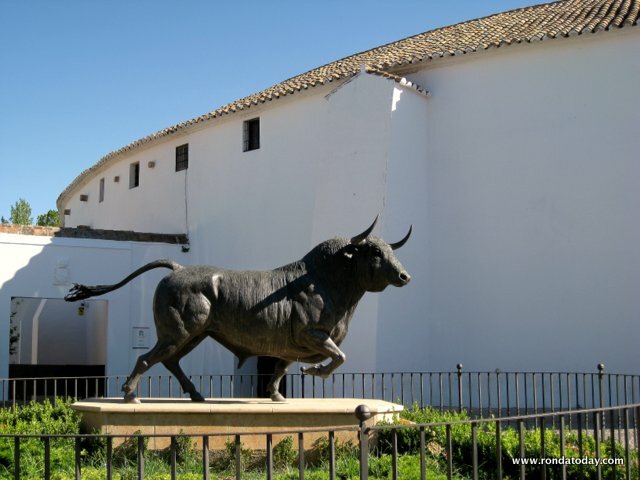 Visit the Santa Maria la Mayor church to see Ronda’s largest church, and also home to many of the Easter floats used in processions during Holy Week. The church was built on the foundations of an Islamic mosque, part of which is still visible in a small alcove as you enter. Read more. 8. Walk to the bottom of the gorge, though not for the faint hearted because this is a steep descent, but completely worth it to get that perfect photo of the bridge. 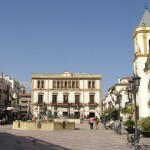 Follow Calle Tenorio to the end and after the plaza take the walking track to the old Arab gate. 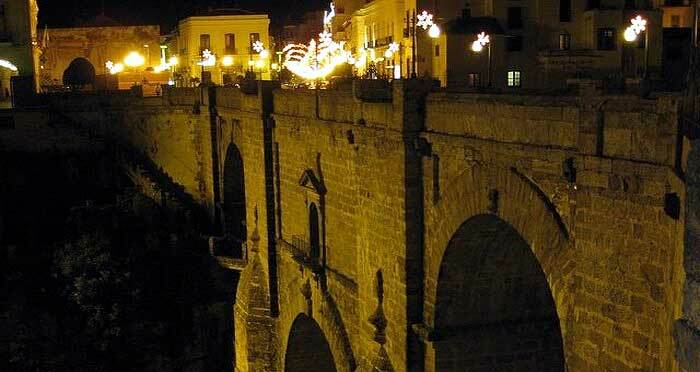 If you wish, you can go through the gate and walk down and then under the Puente Nuevo. 9. 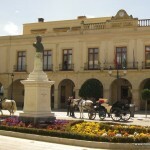 Enjoy local tapas at one of the many outdoor bars in Ronda, with popular places being Plaza Socorro, Calle Nuevo, the Plaza in front of the Almocabar Gate, or Plaza Duquesa de Parcent. 10. 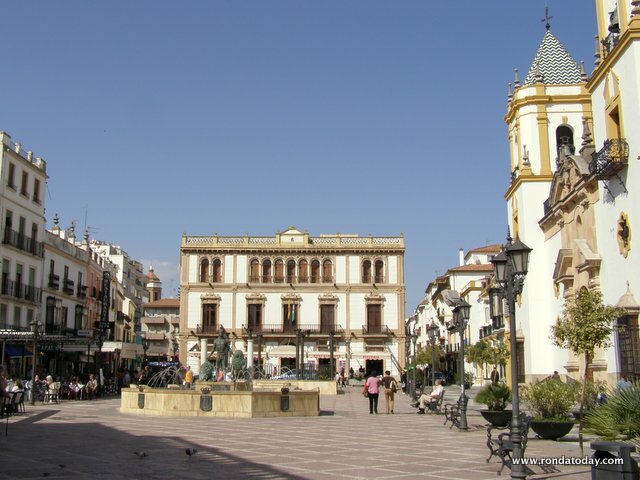 Stroll through the old town at sunset as the tourists leave and Rondeños reclaim their city. 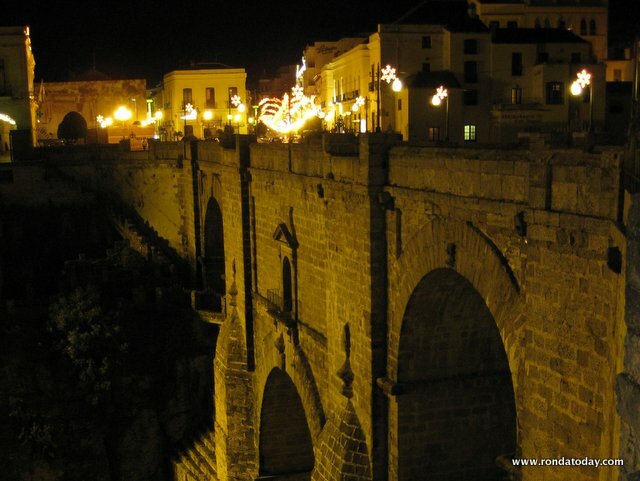 This is the time when the real Ronda comes alive, with children playing in the plazas, families preparing their evening meal, and the sites and smells change completely. 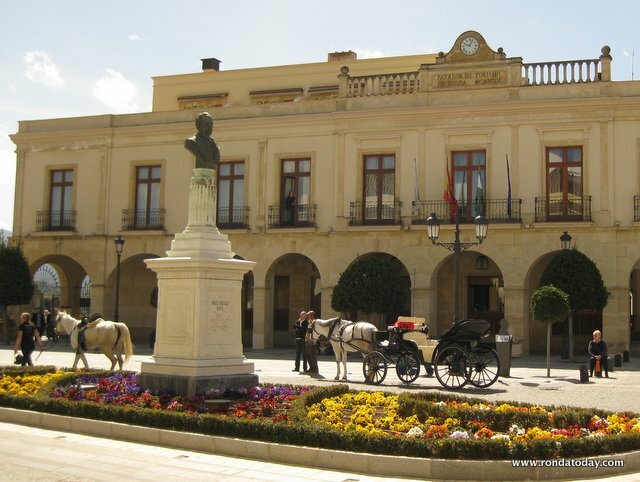 I would like to stay in the countryside very close to Ronda, visit the city and return to a peaceful countryside setting, cycling just a few kilometres each day (due to health reasons). Is this possible? What is the surrounding countryside like? Is it away from the sound of trafffic? I plan to visit Late February/early March. I don’t doubt Ronda is fantastic but wonder what surrounds it?